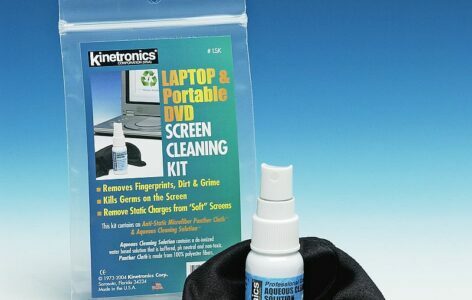 The new Precision Cleaning Solution™ is a high purity, non-residue, solvent that cuts right through fingerprints, smudges, and tape residue that cause spots and fuzzy images on scanners. 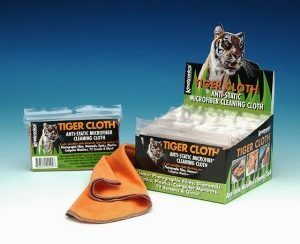 An anti-static Tiger Cloth™ is used to wipe the glass crystal clear without developing any static charge. 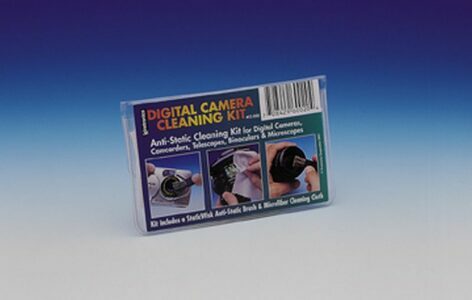 You will be surprised at how fast and easy it is to clean the coated scanner glass. Both products come in a handy storage box. 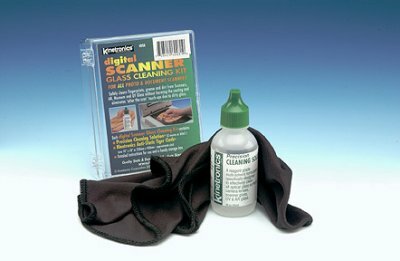 The Digital Scanner Glass Cleaning Kit or DSK is an effective new product for all digital imagers and in every minilab with a ‘Picture Maker’ type scanner. Scanner glass has a special coating that will be damaged if cleaned with ‘household type’ glass cleaners, which may contain ammonia.